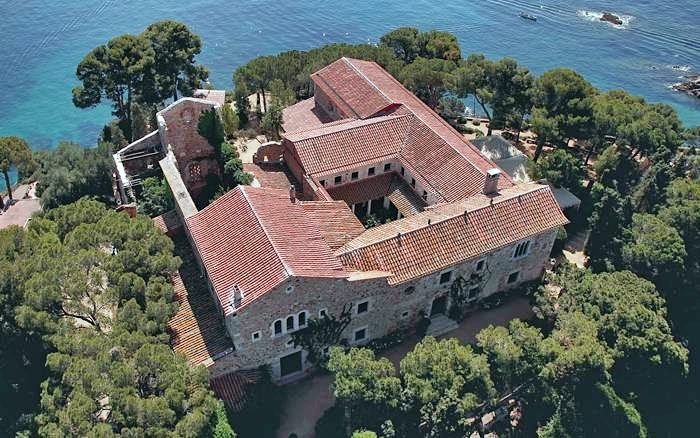 The Convent of Blanes was built in 1583 and preserved as a heritage site on account of its scenic value. 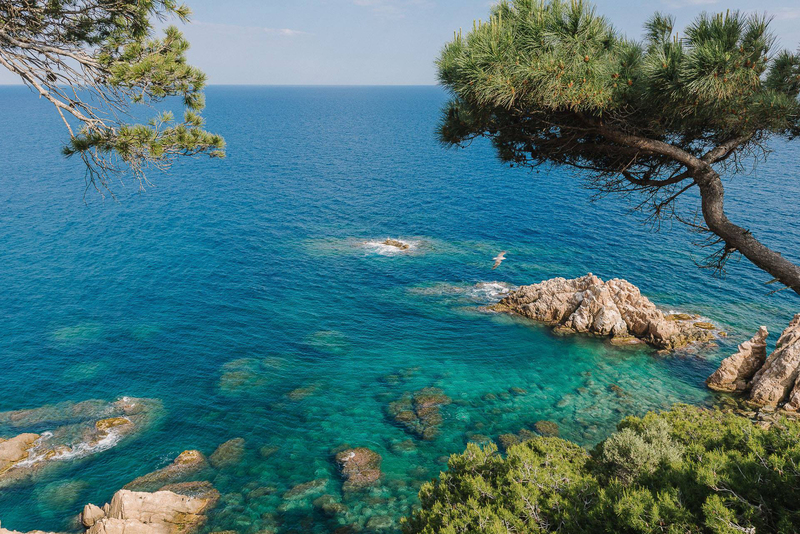 We find ourselves in an environment that blends in perfectly with Punta de Santa Anna, which marks the beginning of the Costa Brava. 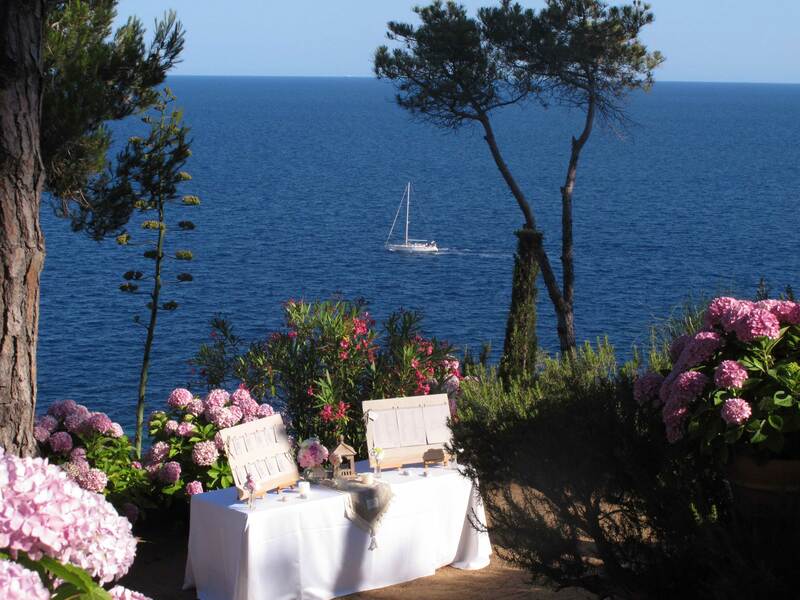 The Convent is located 70 km from Barcelona and is open to the Mediterranean Sea, surrounded by the scents of aromatic plants and the pine trees of the gardens. From here you can enjoy a bird’s-eye view of the coastline, as the sky meets the sea. 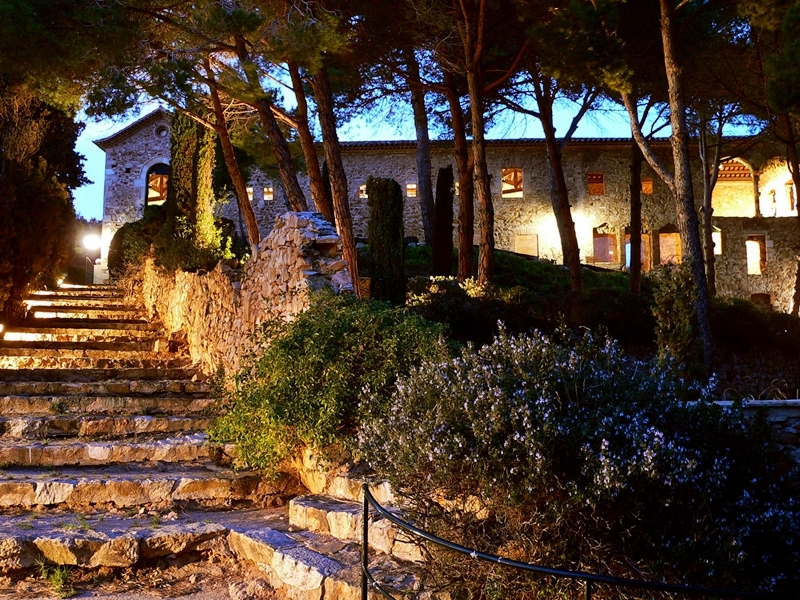 The Convent is a unique and privileged place to organise weddings, banquets, private celebrations, meetings and corporate events, as well as an exclusive location for film productions. 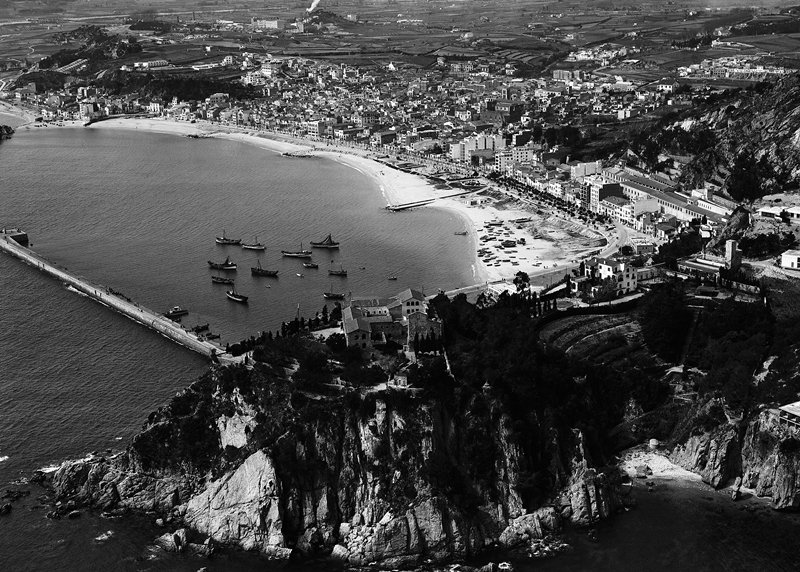 The “Convent Classical Music Festival”, which coincides with the International Fireworks Competition of Blanes, has been held here since 2004. Since the war of John II, the vast lands of Catalonia seemed lost to the Cabrera. In 1477, a 18 year old calledwas Anna inherited the assets of the Cabrera family. She had many suitors, but married Admiral of Castile Fadric Enríquez, cousin of King Ferdinand the Catholic. In 1481, the Catalan lands were returned, with the exception of Blanes, which was restored in 1488. It is believed that the Viscountess Anna built a chapel and dedicated it to Santa Anna as a token of gratitude for this territorial recovery. In 1582, the little chapel was transformed into the place where the first convent stood, which was colloquially called “Capuchin convent,” and welcomed the monks of this order, along with Father Arcángel de Alarcón, cousin of Queen Joan’s butler. In 1626, they realised so many religious people could not live in such a small building, and they began to modify the convent and the church. The works ended in the following years. In 1835, King Ferdinand VII died and the Civil War broke out. In 1845, under the Mendizábal law, the building that was the Capuchin convent, the church, the chamber of the waiters and the vegetable gardens, representing a total area of 31,500 square feet, went on auction. 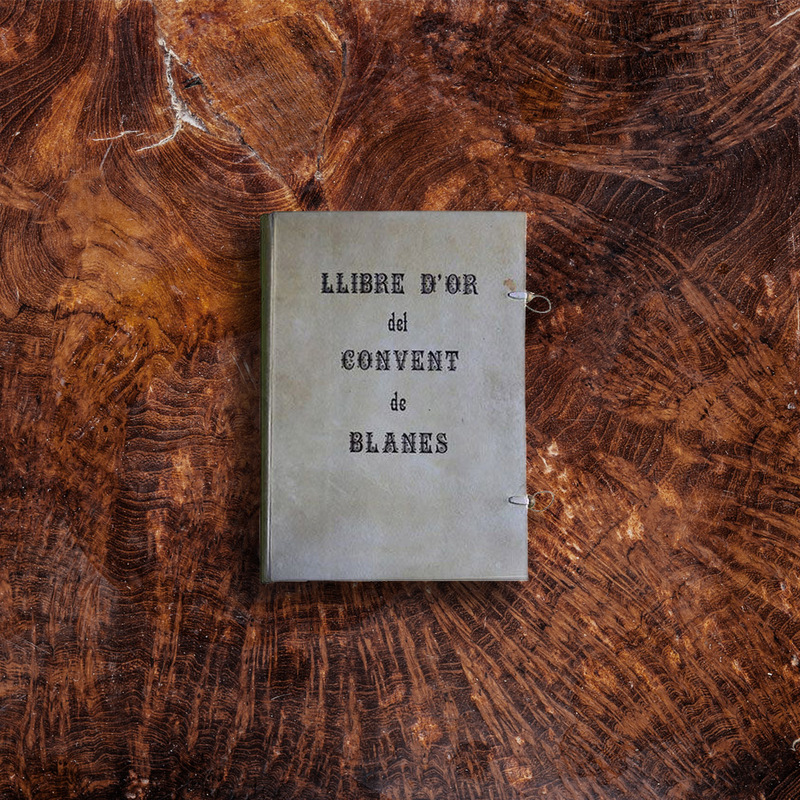 The Golden Book of the Convent of Blanes is a historical book that has its first entry on April 24, 1940. It is a type of guest book for anyone who wants to write down memories of their experience. 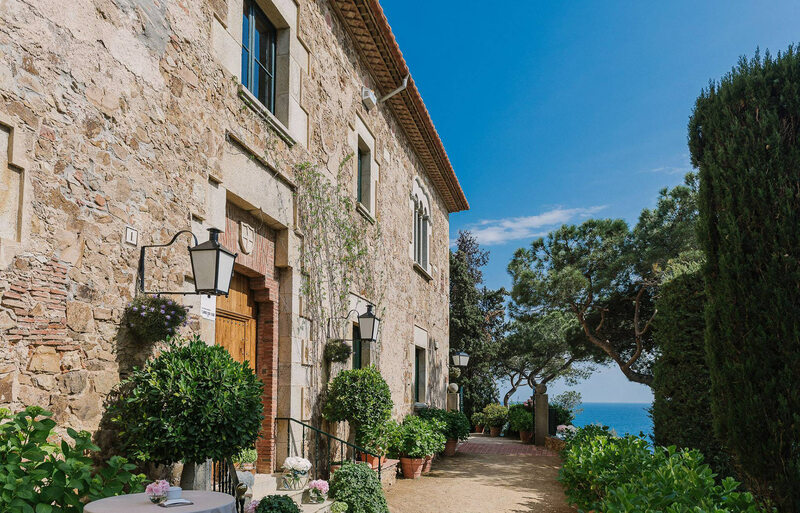 Since then, writers, poets and directors amongst others who visited the convent have written in the Golden Book the sensations experienced in such an emblematic place on the Catalan coast. Examples include the poet and novelist Josep Maria de Segarra, composer Joaquim Nin of Culmell, flautist Claudi Arimany or director and writer Tom Tykwer. When you visit us, remember to ask for the Golden Book of the convent!